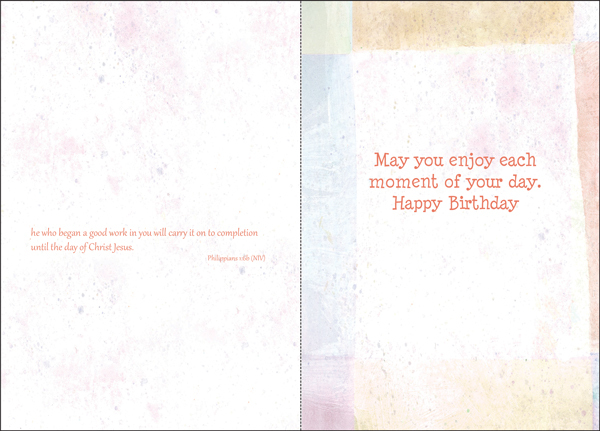 Save on Scripture Birthday Cards|Buy Today and Save! Just the right greeting for a special person in your life. This card features colorful flowers and whimsical handwriting. A verse of scripture and a wish to enjoy each moment of the day make this design the perfect choice for a birthday greeting. Order a dozen today! 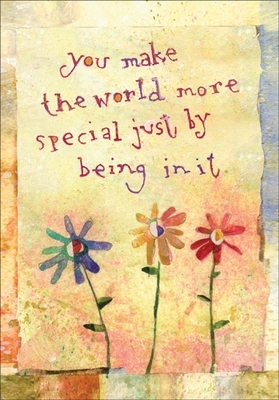 Front: you make the world more special just by being in it.